Here’s a brief excerpt from an article by Angie Hicks for LinkedIn. To read the complete article and check out others, please click here. Thank goodness we learned early that direct selling was an inefficient way to build our business! Because if the success of Angie’s List had depended on my door-knocking and cold-calling skills, we wouldn’t have more than 2 million member households today, and you wouldn’t be reading this. But if I could time-travel back and give my 22-year-old self a pep talk, I’d praise her dedication to growing the business one member at a time, despite slammed doors, belly-dancing butterflies and tears. That young woman didn’t have any business expertise, but she had a business partner with a great idea and the ability to raise capital. As important, if not more so, she possessed personal qualities of persistence and a willingness to learn from mistakes. o Promptly respond to your customer. This is important in all cases but one: when you receive negative feedback, especially online. Don’t respond when you’re feeling emotional; take the time to ensure a calm, effective reply. o Pay close attention to what he or she tells you. This is a crucial skill for all business situations, including dealing with online customer reviews. Smart companies use feedback to fine-tune operations. o Do what you say you will. Almost nothing is more important to earning repeat business. If this is your high season, these rules are just the beginning. To ensure sales figures that you can be thankful for after Black Friday and Small Business Saturday, you must kick your performance up a notch. Make sure every aspect of your operation is in excellent running order. Be exceedingly focused on pleasing your customers, and be prepared to under-promise and over-serve in every way possible. 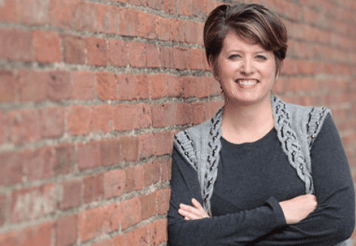 Angie Hicks is Founder and CMO at Angie’s List.